Hello everyone, this is Vakar, I made this site so it would be easier for family to access pictures. Enjoy. (The picture above) This is the front and the entrance to the house. 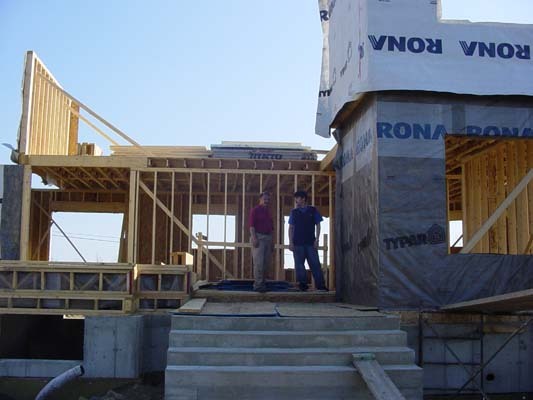 (The picture above) This is where the master bedroom will be. 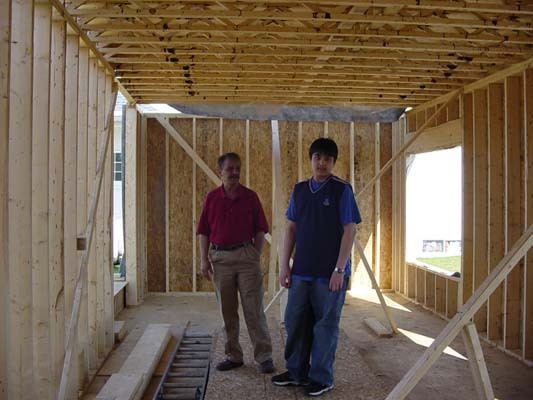 (The picture above)Behind my dad and I is the future kitchen. (The picture above)These are two more bedrooms. 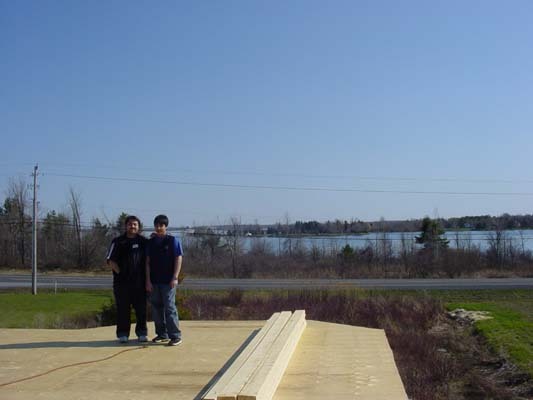 (The picture above)This is the masterbedroom when all the walls and just about the roof are built. (The picture above)This is the house with all the walls and roof up. They have also started the shingles a little bit. 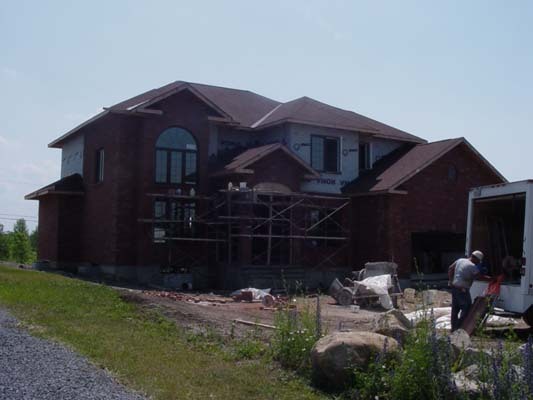 (The picture above)This is the house with all the walls and roof up aswell as the bricks and stucco. **The stucco is on the backside.